Subscribe for two years and save! Pond Boss is a bi-monthly publication dedicated to helping readers take care of their private ponds and lakes. 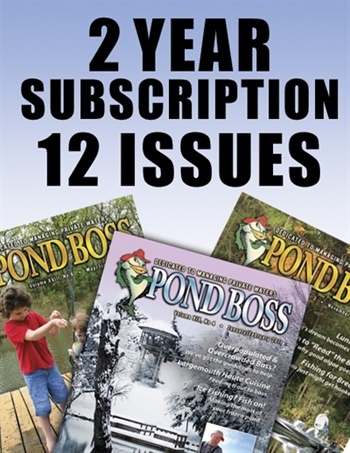 Each issue of Pond Boss is filled with how-to articles, questions and answers from readers, where to find products and services, and much more. SUBSCRIBE TODAY!